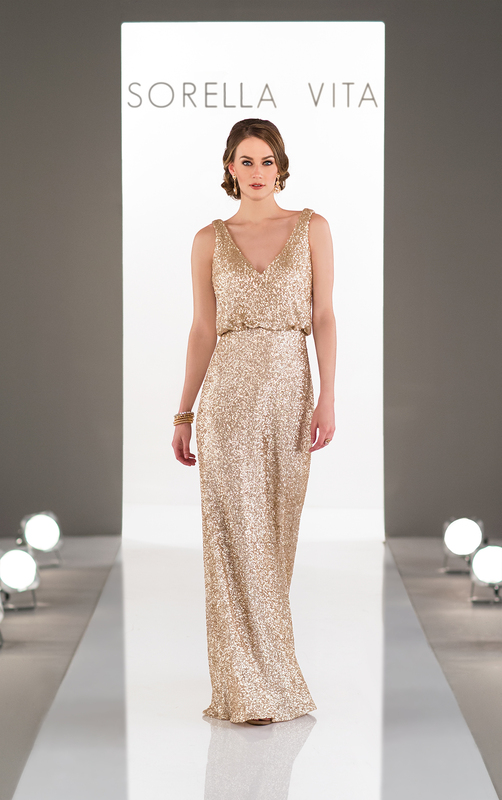 Another striking addition to the Sorella Vita Modern Metallic collection, this matte-sequin bridesmaid dress will take the glamour of your wedding day to another level! In a flattering sheath silhouette, this bridesmaid gown features a romantic blouson top, accented perfectly with a deep V-neckline, adding a subtle sexiness. 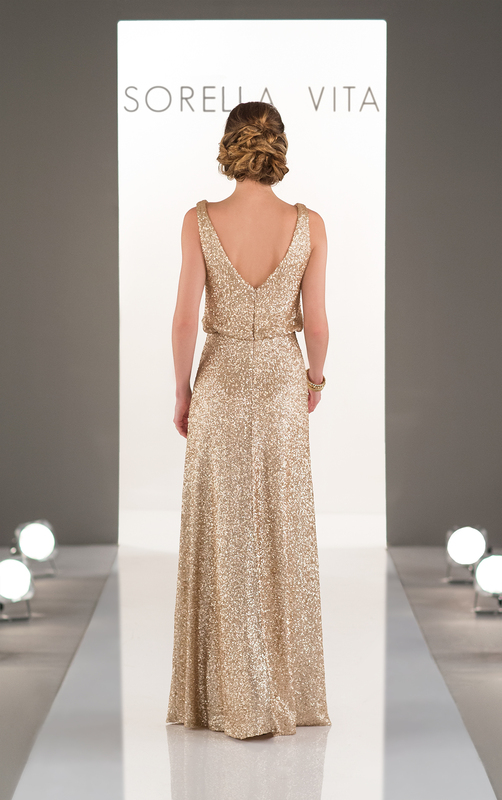 The back of this bridesmaid dress features a deep V, coordinating perfectly with the front of the gown.